Prometheus is Sydney’s newest and recently refitted 77ft Supernova, a stunning vessel manufactured by Australia’s renowned Super Yacht Builder – Warren Yachts. 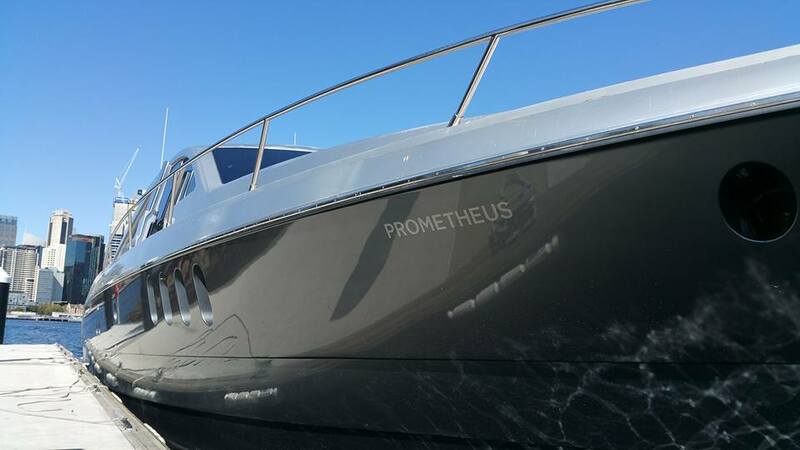 Prometheus will be sure to cause a stir on Sydney Harbour with her striking dark silver hull contracted with her metallic silver super structure. 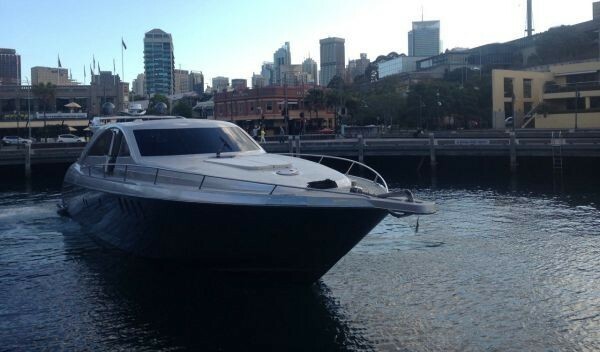 The vessel has gone through a full renovation in 2015 with a luxury fit out and full reconfiguration of the upper saloon to offer a huge entertaining space.Prometheus is the entertainers dream – boasting a huge open plan upper saloon with luxury custom designed joined interior / exterior deck area that offers guests a spacious area for entertaining all year round on Sydney Harbour. Hire Prometheus Sydney Harbour. 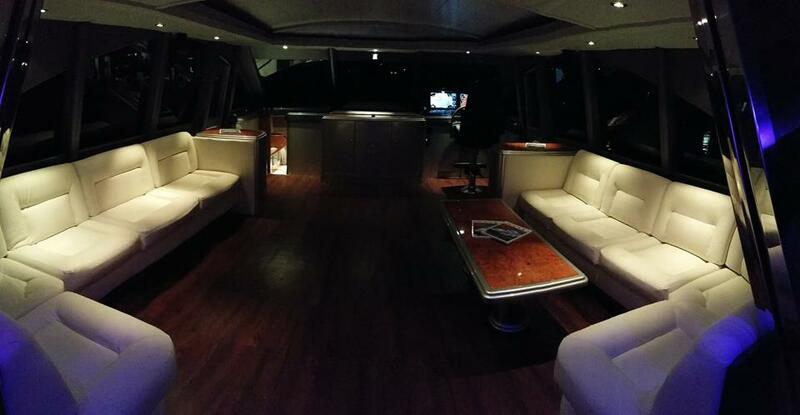 Prometheus adapts to the clients requirements with the ability to customise the configuration in the upper saloon/ deck, comfortably accommodating 36 guests for cocktail events and 14 formal dining.The lower saloon was designed with a luxuriously appointed U shape seating area with fully equipped open plan galley positioned directly opposite. The lower saloon features natural lighting supplied by a huge skylight. 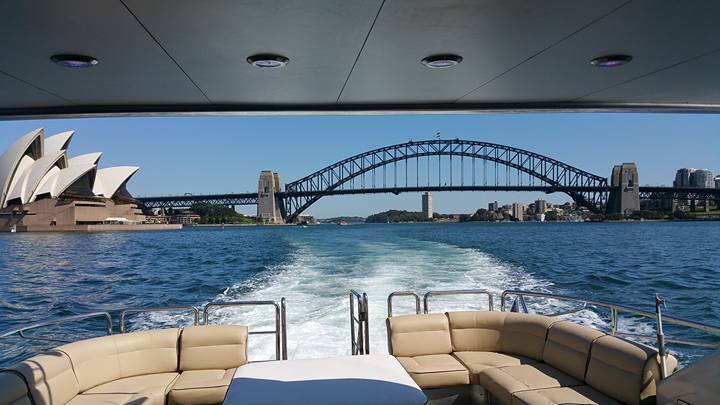 Hire Prometheus Sydney Harbour for all your charter needs. Prometheus was built with your comfort in mind, he is fully equipped with high capacity reverse cycle air conditioning serving the upper saloon. 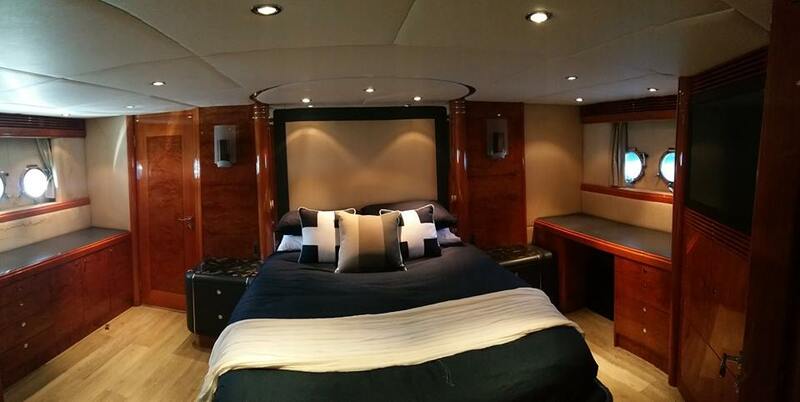 The vessel is equipped with many features including a large cockpit sunroof, large swim platform, inflatable tender garage, lower saloon skylight for natural lighting and lets not forget the latest audio visual equipment.